Bid farewell to the past year and raise a glass to 2019 aboard the majestic Queen Mary. Ring in the New Year with a night of fabulous entertaining and top it off by getting great views of one of Southern California’s top New Year’s Eve fireworks displays. 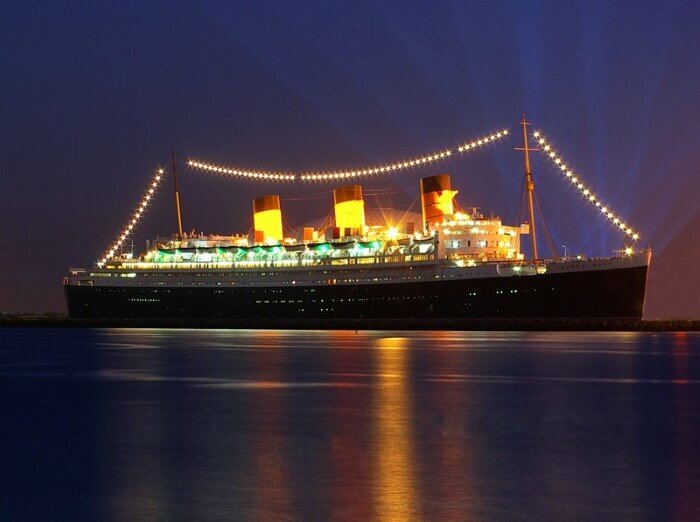 The Queen Mary is celebrating New Year’s Eves past and present. Travel back in time as you explore the ship. Guests can stroll through the ship’s decks and ballrooms to take part in the many celebrations that will be happening. 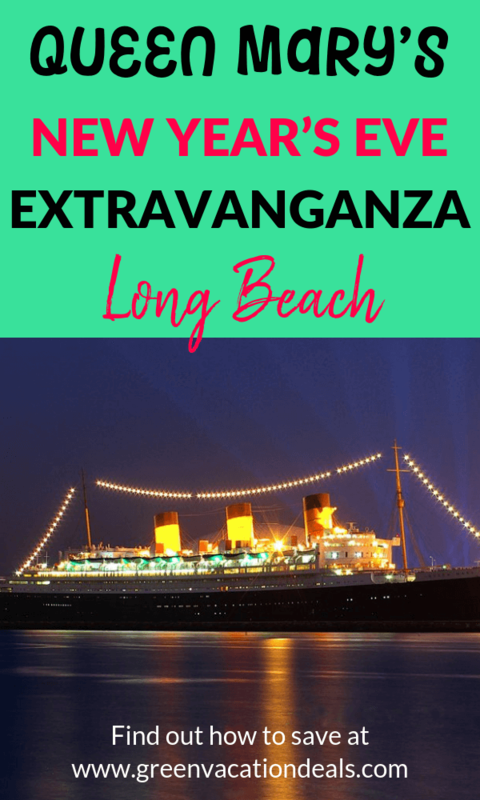 Guests will gather on the stern to watch SoCal’s top fireworks and have the best views as the vibrant colors spread across the sky and are reflected in the water of Long Beach Harbor. This event sells out so get your tickets while you can. Book through Goldstar and instead of paying $125, you’ll pay $75 for a savings of $50! Save this for later – pin it to your favorite New Year’s or holiday Pinterest board!